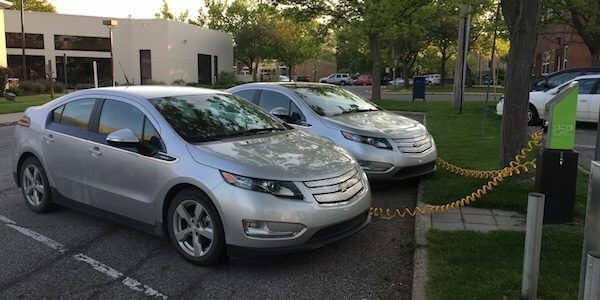 We're bringing homeowners and small businesses interested in installing solar and/or electric vehicle chargers together in a group, or co-op. Homeowners join the group at no obligation to receive discounted pricing and unbiased, installer-neutral support throughout the process. Our experienced team ensures you understand the basics of installing solar and EV charging as well as receive a competitive proposal from a qualified installer. Homeowners or businesses participating in this co-op have the option of installing solar panels, a level 2 electric vehicle charger, or both. Watch the videos below to learn more about our solar co-op process and its benefits, or view our FAQs. Install solar and electric vehicle charging though our co-op! The co-op is open to homeowners and businesses throughout southeast Ohio. EV chargers are classified into three categories: level 1, level 2, and level 3 (DC Fast charging). The categories are defined by the power and rate at which they charge a vehicle, and the electric infrastructure required for installation and operation.